The Commanding Officer of the Portuguese, Naval Ocean Patrol vessel, NRP Viana do Castelo has confirmed that it will be docking in St. John’s on Thursday, August 17th and his crew will lay a memorial wreath in Mt. Carmel Cemetery, St. John’s at the grave of White Fleet fisherman, Dionisiv Esteves. The wreath laying ceremony will take place on Thursday morning, August 17 at 11:00 a.m. The short ceremony, in the cemetery at Kennas Hill and the Boulevard. Dionisiv Esteves, died during the 1966 fishing campaign while unloading his daily catch of codfish. He was crushed between his swamped dory and the steel hull of the fishing vessel Santa Maria Manuela. His unmarked grave site, which was discovered, (four years ago) has come to symbolize all those Portuguese fishermen who lost their lives fishing on the Grand Banks of Newfoundland and Labrador. Since the grave was discovered the daughter of Dionisiv Esteves has come forward to learn more about the father that she never met. His brother, Fernando Esteves has also come forward to make inquiries about the resting place of his brother. Last year a Portuguese film crew began filming for a documentary that tells the story of Dionisiv Esteves and the Portuguese fishermen working in the North Atlantic. Also attending the service will be Admiral Henrique Lila Morgado the assistant to the chief of Staff of the Portuguese Navy. Immediately following this ceremony, a short visit to the Fatima Grotto at the Basilica-Cathedral of St. John the Baptist will take place. 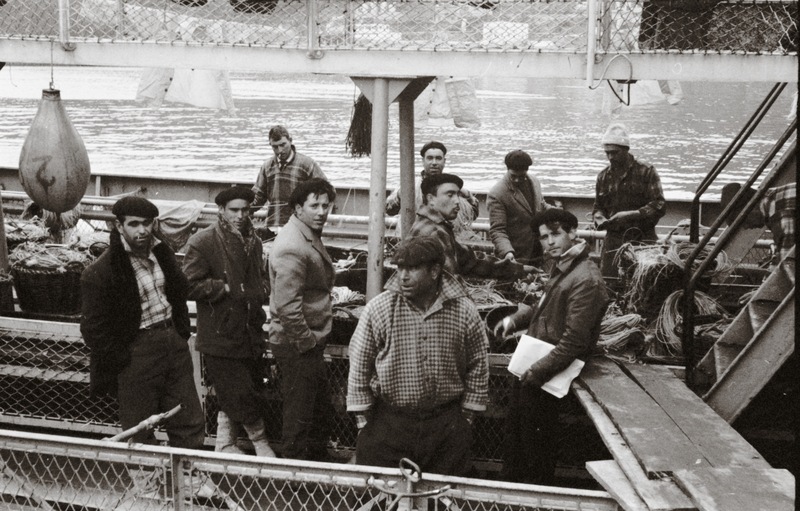 The Statue of the Lady of Fatima was a gift to the people of St. John’s from the Portuguese White Fleet fishermen in 1955. This was traditionally the altar that the Portuguese fishermen of the ‘White Fleet’ prayed at before they left the port of St. John’s to return to the Grand banks and eventually home. The Viana De Castello is part of a fisheries inspection mission in the NAFO zone off the Grand Banks. The vessel I will remain in port until August 19. The Portuguese Commanding Officer invites the public to attend these ceremonies. Local businessman and author, Jean Pierre Andrieux was responsible for spearheading a financial campaign four years ago to raise funds to erect a memorial at the grave site of Esteves that now serves to remember all Portuguese fishermen who lost their lives fishing in Newfoundland waters. The wreath laying ceremony is open to the public. Those attending are encouraged to use the Kenna’s Hill entrance to the cemetery. In case of inclement weather (rain) all events will be moved to the Basilica Cathedral. This entry was posted in Archival Moments on August 16, 2017 by Larry Dohey.